$5.00 Click below to purchase. 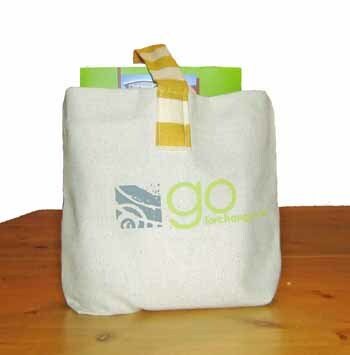 Our reusable bags are hand-crafted from recycled fabric and salvaged canvas from the Poster Repair Company . Our logo was hand-printed by a local artist at Red Prairie Press . Bags come in two sizes 6”x7” and 14”x16”.